Every athletic training room has it's unique characteristics based on it's space, but is it fully equipped to handle the needs of the athletic trainer and athletes using it? From individual taping seats and cabinets to 5-seat taping stations, athletic training rooms need to ensure athletes have a place to get taped up everyday. The Athletic Edge offers endless tape station configurations constructed from durable laminate, aluminum or wood to adhere to everyday use. The ability to lift athletes to an appropriate and comfortable treatment height with electric hi-lo treatment tables and cabinets makes a huge difference for the athletic trainer and athlete. The Athletic Edge developed the Leg & Shoulder (LAST) Therapy Table to provide athletic trainers with the ability to perform bilateral exercises and allow for specific anatomical positioning to achieve the desired results. It is ergonomically designed to maximize efficiency and effectiveness of treatments. The elevating base of our Electric Treatment Cabinet provides convenience, comfort and storage solutions. It has many storage and top options to fit the individual needs of each athletic training room. Whirlpool tables create easy access for athletes to recover and rehab with whirlpools. Whether it is just an ankle or a whole body recovery, whirlpool tables provide an area for athletes to receive hydrotherapy in a number of different ways. Equipped to handle harsh, wet conditions, The Athletic Edge Whirlpool Tables come in single or double configurations as well as wood, laminate or aluminum construction. 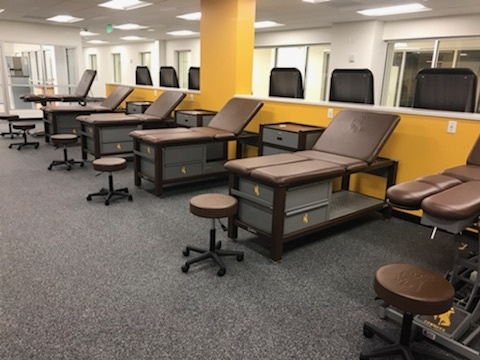 Every athletic training room needs basic treatment tables to meet the many training, rehab and treatments provided daily by athletic trainers. The Athletic Edge developed the dependable Aluma Elite Treatment Table to meet these daily athletic training needs. It has a load capacity of 750 lbs. and comes with an array of storage and cushion options. The wood option of this treatment table is called the Edge Sport Wood Treatment Table. Mobile storage in an athletic training room allows trainers to bring their tools, equipment and even a writing space to each athlete, making their job more efficient and convenient. Our Stor-Edge and Aluma Elite Modality Carts are available in wood, laminate or aluminum and have numerous storage options. Rolling stools give athletic trainers the ability to move around the athletic training room with ease all while staying in a seated position. The Athletic Edge Rolling Stools combine comfort with control and are available with custom branding to bring your stool from boring to eye-catching. 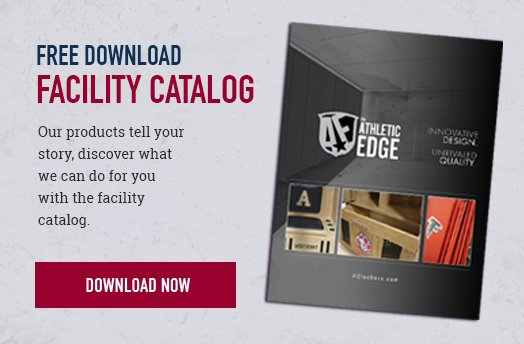 The Athletic Edge offers custom branding and color packages on all of the above products to give your athletic training room the EDGE it deserves.